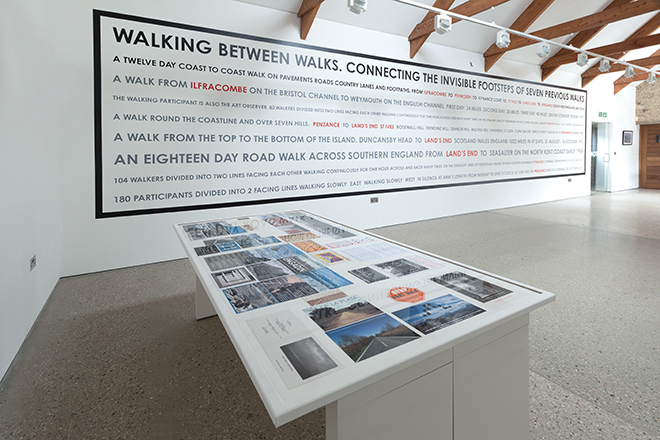 This summer Kestle Barton features an installation by Hamish Fulton based on a commissioned walk generously funded by Arts Council England: Walking Between Walks connects ‘the invisible footsteps of seven previous walks’. 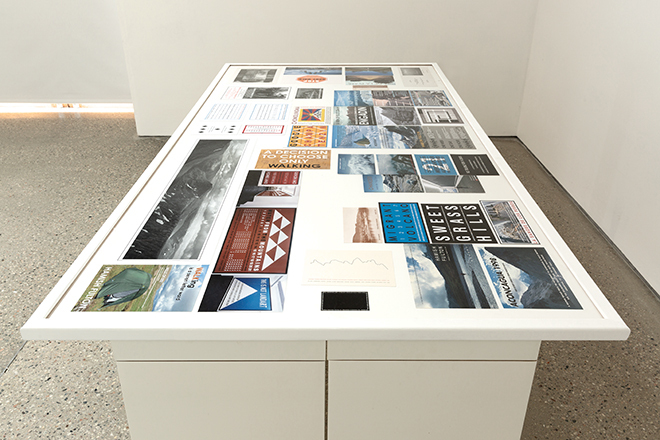 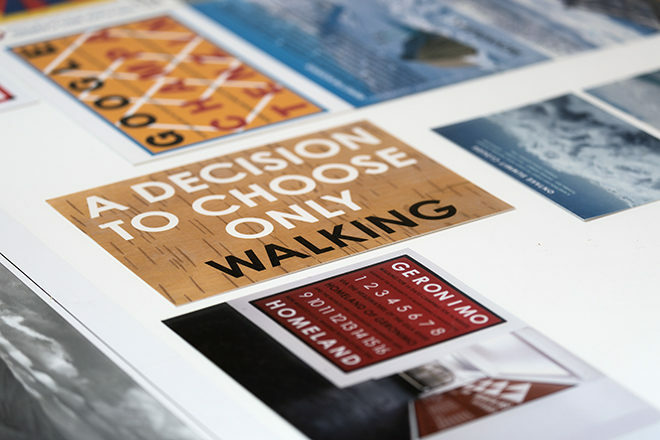 Fulton translates his walks into a variety of media, including photography, illustrations, and wall texts. 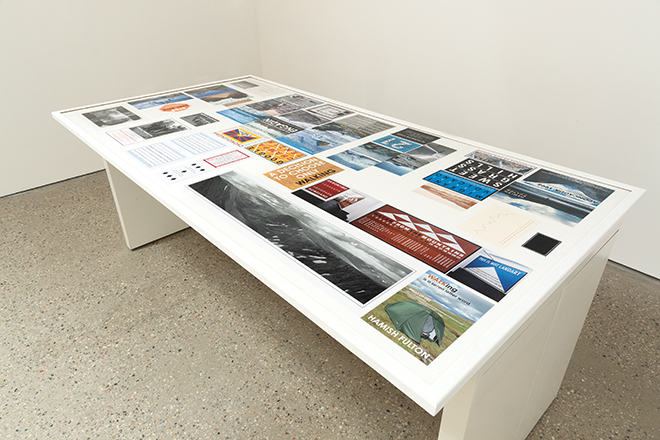 His work is contained in major museums collections, such as the Tate Britain and MoMA. 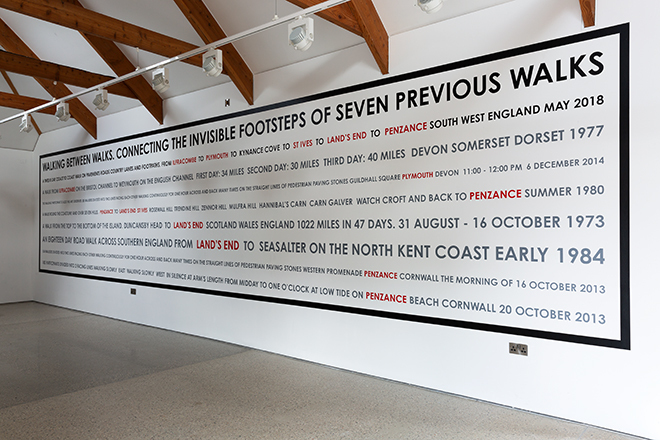 During a twelve day period this year, Hamish Fulton linked seven previously completed walks made entirely or partially in south west England over a period of many years. 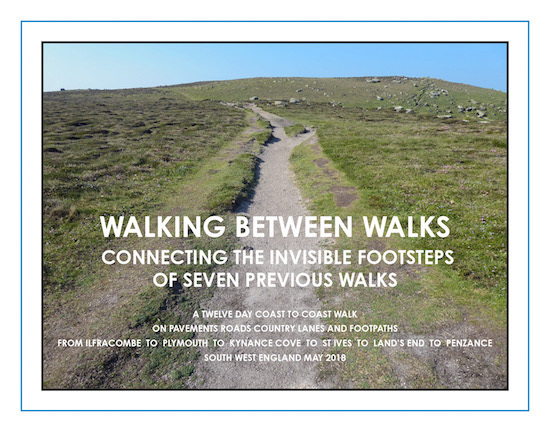 These include the public group walks made in Penzance during the second Cornwall Workshop then marking Fulton’s 40th anniversary of his commitment as an artist to the act of walking. Five years on, Kestle Barton is delighted to mark his 45th anniversary with this commission and exhibition.